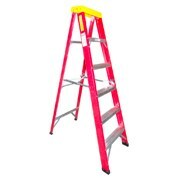 Heavy Duty 2 Step Stool 35"
For those hard to reach places, access platforms have you covered! When a job requires a bit of extra height get there safely, don’t risk injury on an old, unstable ladder. Stay safe and get your projects finished by investing in this sturdy yet, lightweight equipment. It will assist you in getting your jobs done swiftly and safely. Suitable for both indoors and outdoors, it’s perfect for little jobs around the home and larger jobs in construction. They are a tradesman’s best friend, featuring superior safety features for your comfort and satisfaction. Constructed from strong yet lightweight materials, they ensure your safety and peace of mind. 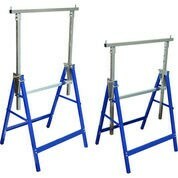 A must have for any DIY person; these items are extremely versatile whilst remaining within your budget. They compact neatly for easy storage, enabling you to take it with you wherever you go. Providing zero hassle and strong, stable and a long lasting solution. Serving a multitude of purposes and assisting with painting, renovating, trimming hedges, cutting trees or simply changing an awkward positioned light globe. Sturdy and well designed, they're great value and available to you today! Order with us and we will do all the hard work for you. We deliver to any Australian address within just a few days, no matter the size of the order. If you have any queries regarding our product range, feel free to call our customer service line or fill out our online Contact form.